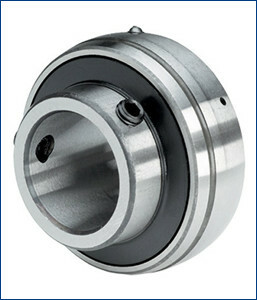 We are the renowned manufacturer, supplier, and distributor offering UC Series Ball Bearing Housed Units in the domain. The units are made obtainable in a wide range of metric and imperial sizes with five different housing designs plus. These designs replace the inserts. Furthermore, the wide inner ring ball bearings, set screw locking design, bonded seals are some of the impressive features of the housing unit. Moreover, the provided bearing can be availed according to the specifications provide by the clients to us. Bearings withstand static misalignment of the shaft of /− 3 degrees.